Find her passion. Find her voice. Find her brave heart. Our Admissions office is excited to welcome you and show you what makes a Sacred Heart education unique. Our admission process is designed to provide the best possible opportunity for each applicant to understand our mission embodied in our Goals and Criteria. Through our commitment to understand each applicant’s educational background and interests, each can be satisfied that the right match has been made for her academic success. 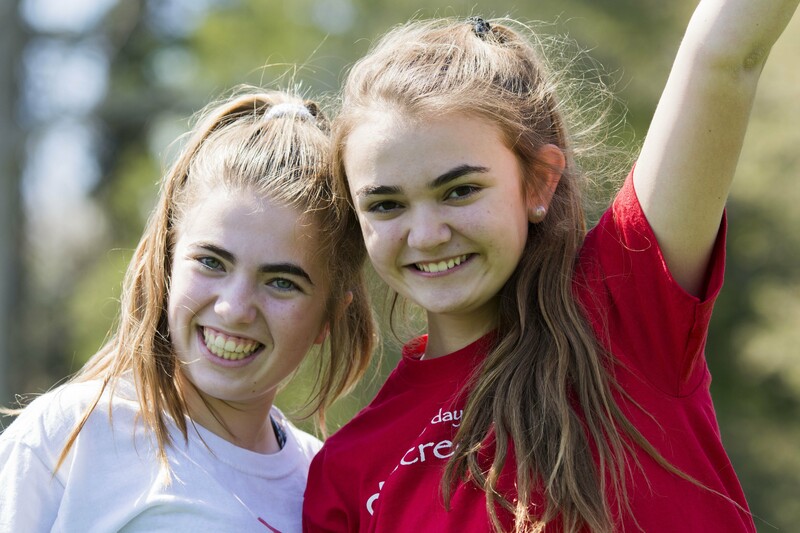 When girls come to Sacred Heart Academy, they become members of a community that is both challenging and supportive. Girls are encouraged, and expected, to try new things, participate, work together, and be leaders. They live up to our high expectations by becoming as responsible as they are independent. Given the freedom – wise freedom – to grow and explore. Let her grow where she can rise. Let her learn where she can thrive. Confident to raise her hand, strong to raise her voice. Sacred Heart Academy - the school for girls with strong minds and brave hearts. Sacred Heart Academy Bryn Mawr invites exceptional young women of all backgrounds and their families to consider becoming part of the spirited and challenging atmosphere that is our school. Take a tour or attend a special event to learn more about the rigorus academic program, as well as the social and spiritual opportunities that allow students to thrive and grow as individuals and as part of the larger community and world. We welcome applications from girls of any national or ethnic origin, race, creed or color. The admissions process begins in the fall for enrollment in the following academic year, with the majority of applications and visits occurring between October and March. Prospective families are encouraged to visit Sacred Heart during an Open House. To schedule a campus tour contact Admissions at 610-527-3915 ext. 214.